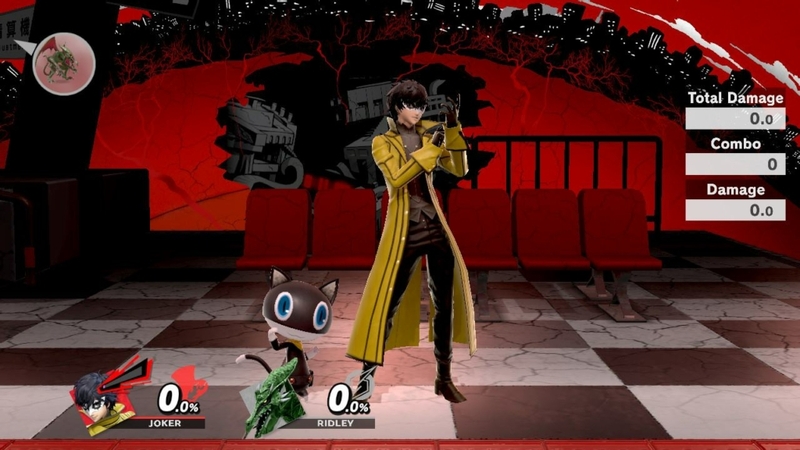 Smash Ultimate is mostly comprised of characters that appeared in previous games in the series. 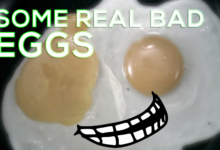 But there are a few exceptions. 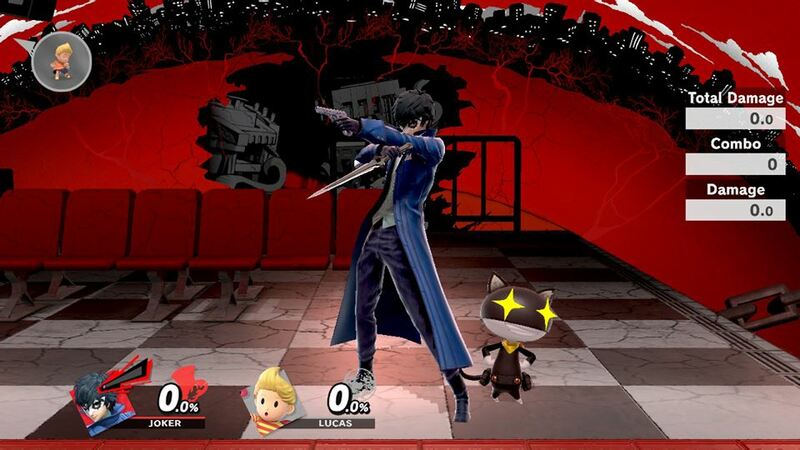 One of the most notable is Joker, who makes the leap from Persona 5 over to Smash. 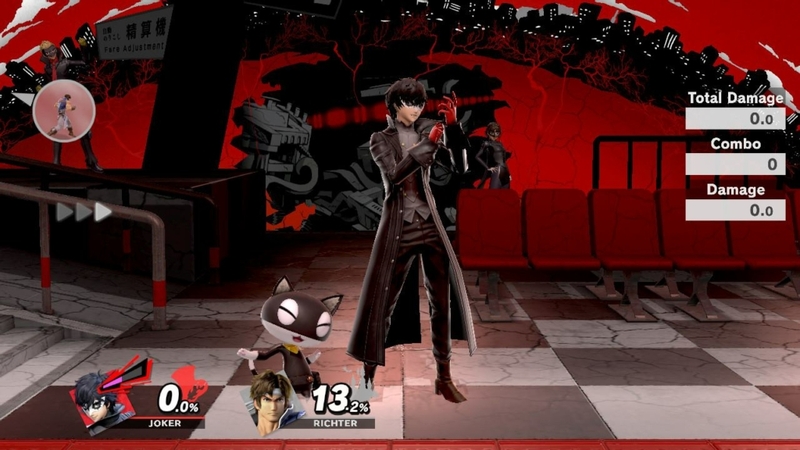 This DLC fighter is available with the Fighter Pass starting April 17, 2019. You can get the character alone with Challenger Pack 1 for $5.99. 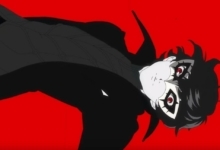 As far as we know, Morgana won’t be around to tell you to go to bed every 15 minutes. Smash Ultimate sports 74 different playable characters at launch — including every single previous character from the super-franchise and a bunch of fresh faces. That’s not even including the glut of DLC fighters, assist trophies, and more. There’s so much that no one person could possibly keep track of everything. That’s why we’ve compiled a guide to every single character. 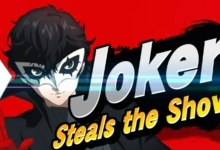 Joker is the protagonist of Atlus’ Persona 5, the latest entry in their long-running RPG series. 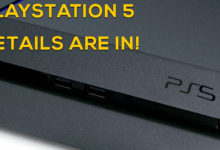 First appearing on PlayStation 4, Persona 5 is rumored to be headed to the Nintendo Switch soon. Get a taste of the character and the game by unlocking him! 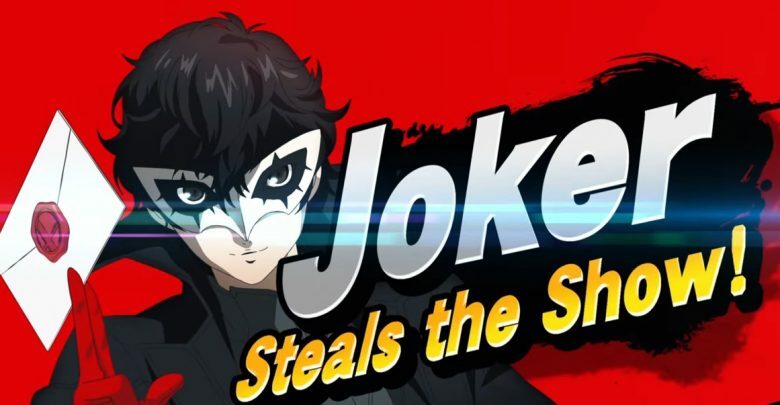 There’s no official Nintendo description of Joker yet, but here’s 15 minutes of Joker content and 3.0 patch information straight from the source. 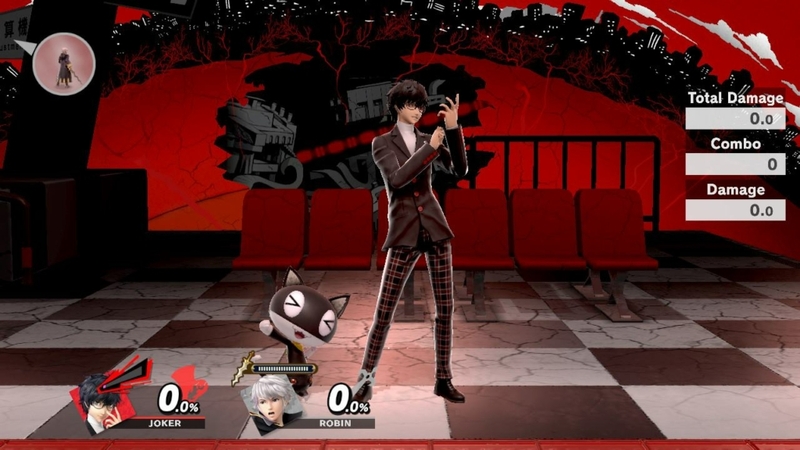 Joker can fill his Rebellion Gauge to activate his Persona Arsene. We’ll list his normal moves first, followed by his Arsene-activated moves. 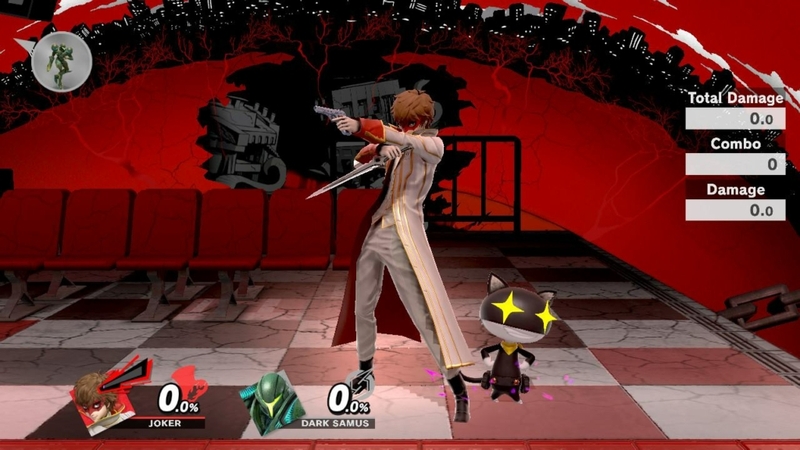 Gun (B) – Joker shoots a gun. You can continuously shoot by holding or tapping B. You can dodge and jump while shooting. Grappling Hook (Up + B) – It can be aimed at a diagonal angle and can be used to pull enemies closer or to grab ledges. 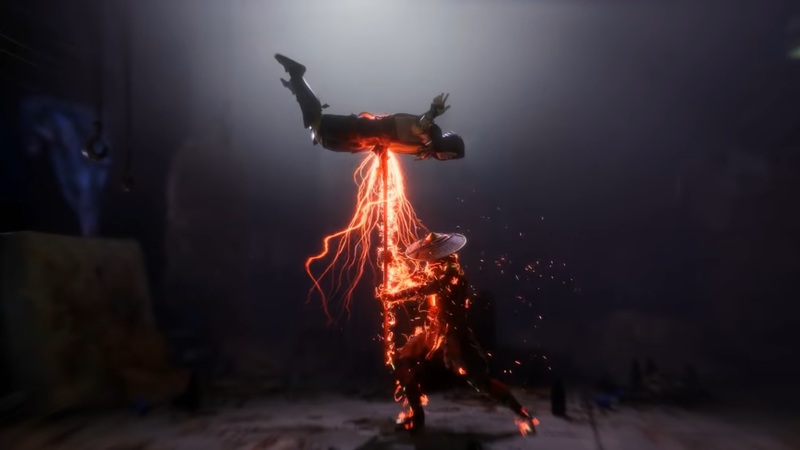 Eiha (Side + B) – A beam of energy is shot to the side that does minimal initial damage but does lasting damage over time. 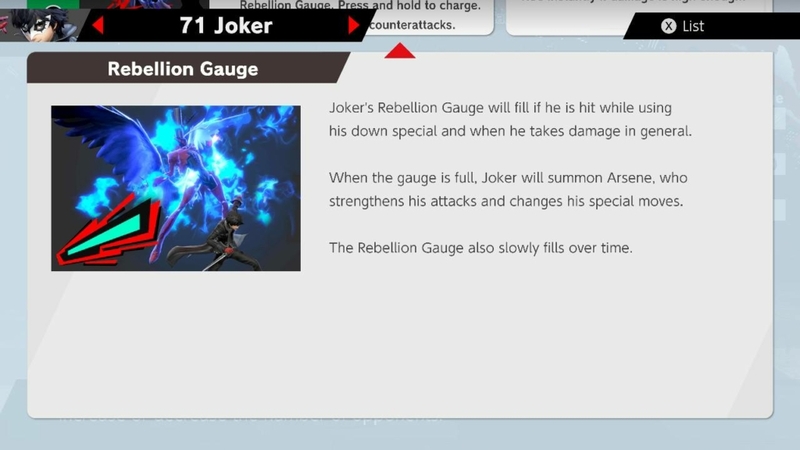 Rebel’s Guard (Down + B) – Joker activates a force field that reduces damage by half but quickly builds his Rebellion Guage. Gun Special (B) – This works the same as before but shoots three bullets at once instead of one. 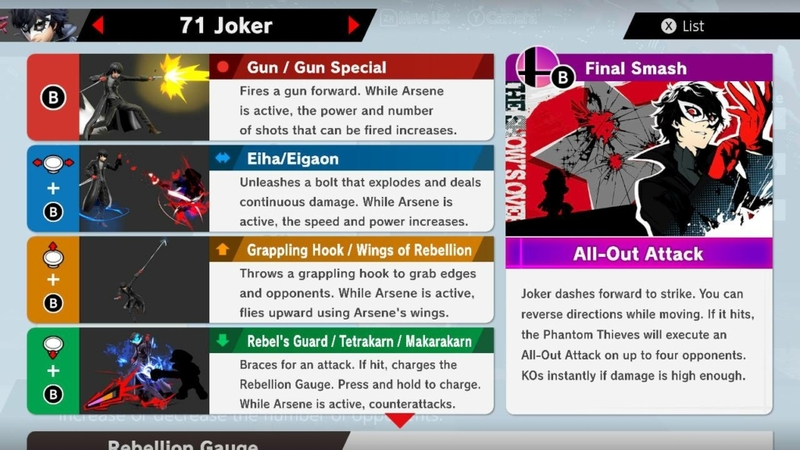 Wings of Rebellion (Up + B) – Joker flies up with Arsene, not dealing any damage but rendering Joker invincible during the flight. Eigaon (Side + B) – Joker shoots more powerful blast that repeatedly hits opponents and does damage over time. 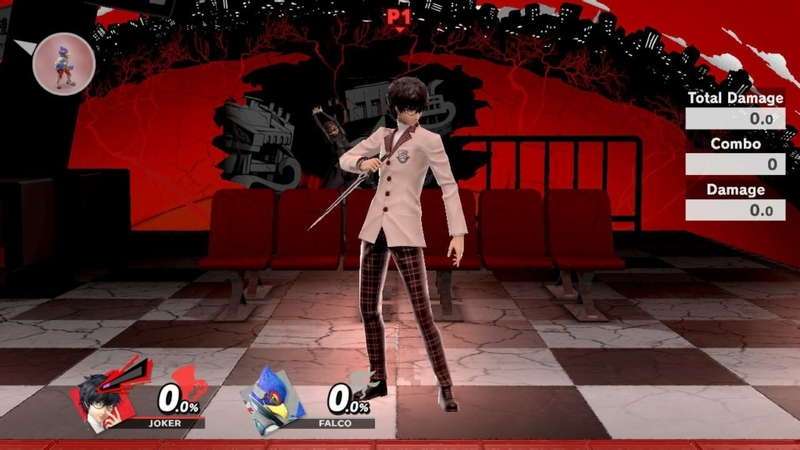 All-Out Attack (Final Smash) – Joker slashes horizontally. 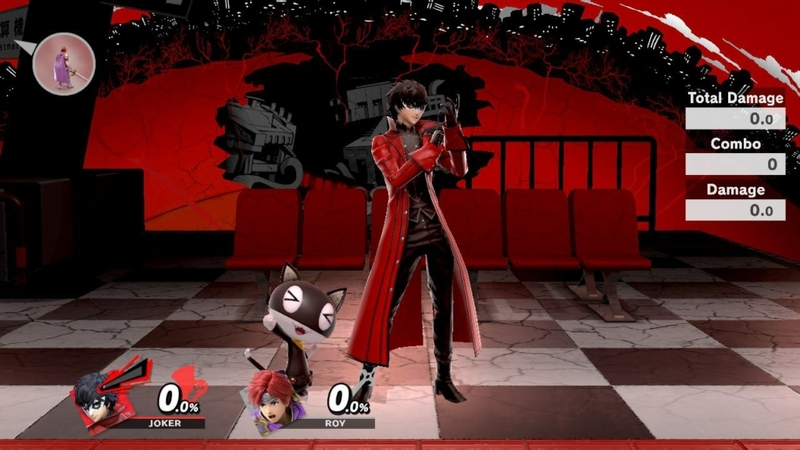 If hit, he unleashes the Phantom Thieves of Hearts to attack his foes. 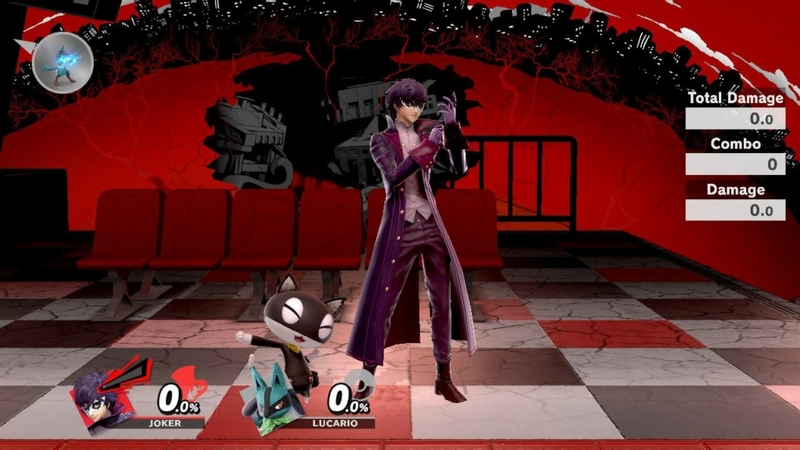 If Joker misses the initial slash, he can reverse course by flicking the control stick in the other direction to try for a second hit. Check back on April 17th for Joker’s strengths and weaknesses!